Our goal is to increase your property's appearance along with it's value. 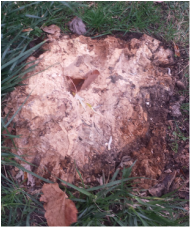 Unsightly tree stumps can be a nuisance. We possess all the skills and equipment necessary to remove any stump, without damage to your property. Along with the cosmetic issues that come with unattended tree stumps, there is also the possibility of regrowth.